Sprinkle rum on the cut side of the peaches, filling the pit area with any extra liquid. Crumble brown sugar over the rum coated peaches and grill until skin is charred – skin side down only. Allow peaches to cool slightly – do not discard any of the liquid from the grilled peaches, then place 3 halves into each serving bowl. 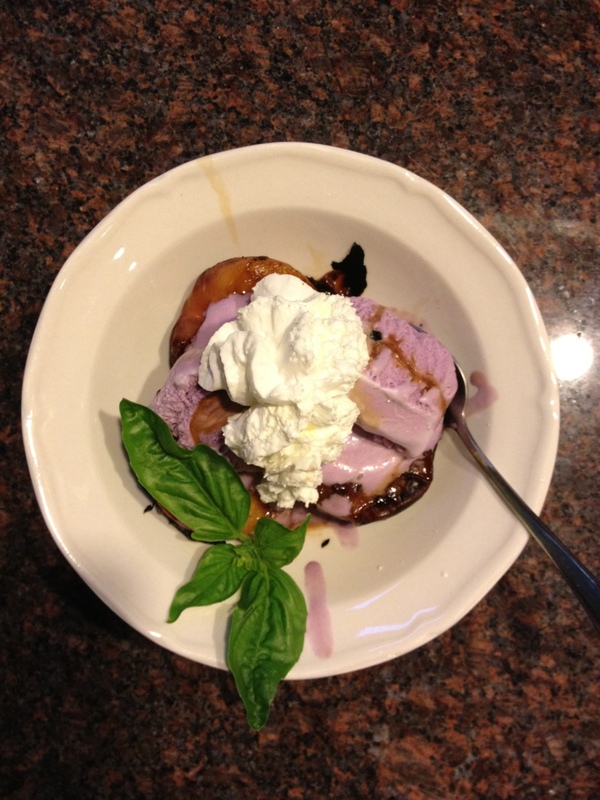 Place 2 scoops of ice cream (your preference – I love the Black Raspberry) on top of the peaches. Drizzle any fluid from the cooling peaches on top of the ice cream.